Rec’d item today, very well packed. This is absolutely gorgeous, has beautiful colors & texture. It also came ready to hang as well 😁. Very pleased, it will hang in my kitchen when renovation is finished. 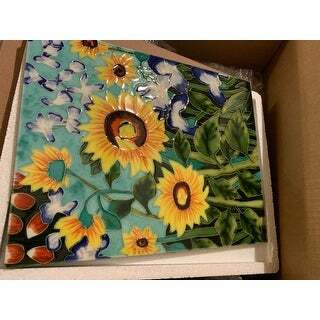 This is a hand carved and hand painted ceramic tile of an artist interpretation for Vincent Van Gogh, Sunflowers and Irises. Ceramic tile has been a traditional means of decorating back splashes in kitchens and bathroom walls for many years. 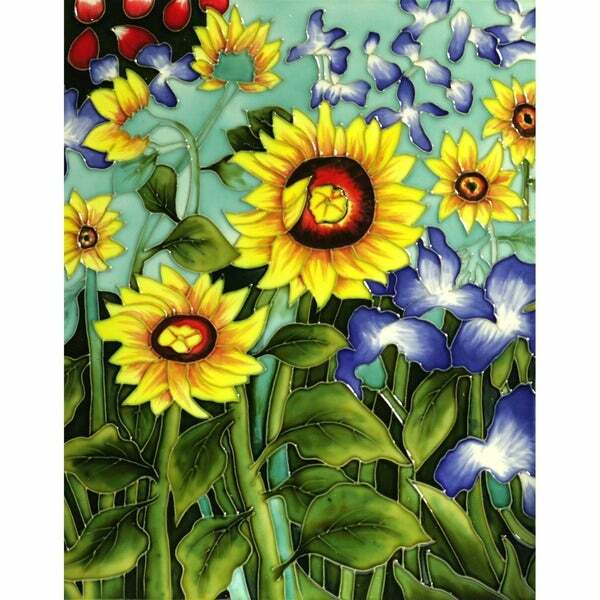 Now add beautiful art to any wall with these hand carved/hand painted accent piece. The item has a felt backing that cannot be removed making it impossible to use in a tiling project. It is merely a picture type type that hangs from a nail. I cannot wait to have this installed in my kitchen as a centerpiece in the backsplash above my stove. I love that it's eyecatching and looks like it would have cost much more than it did. I can't wait for people to see it. The product is beautiful. The flowers are raised on surface to provide depth and texture. The finish is glazed and smooth. The colors are striking. The trivet style includes a high grade felt covered back attached and a sturdy, recessed loop for hanging on a wall. I soaked the product in plain water for a few hours and the felt back was easily removed. truly beautiful. great accent piece. This is a stunning tile. I wasn't expecting it to be set up to hang as it was purchased for a project, but I may just hang it up for a while as I get the other pieces I need to work on the project. I used mine as wall hangings in my kitchen. I think they are a beautiful, quality product. Used this in the back splash behind the stove..............LOVE IT! The trivet is perfect for my centerpiece of my backsplash. It was well protected for shipping and arrived just as promised. It's a beautiful reproduction. It is lovely! I love the construction and and the look and feel of the product. "Can this tile be used as an insert into surrounding tile for a back splash behind the range?" Hello annikuns, good question. 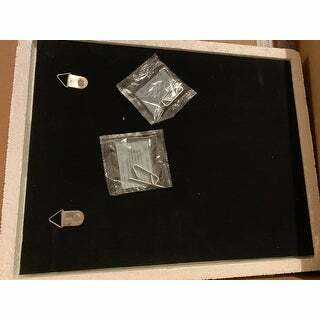 Actually, this item is a decorative wall hanging type tile as it has a felt backing and is listed under decorative tile. There are other decorative tile items that could be used, please refer to item # 14099050 which can be used for decorating back splashes in kitchens and bathroom walls. This type type is listed under "wall tile" rather than decorative tile. We apologize if a bit confusing. Please let us know if you have additional questions.